This series of clips comes from a film recorded in the RHP Ball Plant on New Street, Chelmsford, just before it closed in 1989 (VA 27/19/1). Originally opened as Hoffman Bearings in 1898, the company gained a reputation for manufacturing world-class ball bearings. In 1969 the Hoffmann Manufacturing Company Ltd was merged into Ransome Hoffmann Pollard (RHP), from 1987 called United Precision Industries (UPI). Manufacturing moved to Newark in 1989, where they are still operating (as NSK RHP). The site where the factory once stood is now occupied by Anglia Ruskin University, giving rise to some very different soundscapes. Had this film not been made, the sounds of this key part of the city’s industrial heritage would have been lost forever. As well as capturing the noises of different parts of the manufacturing process, the recording includes part of an address from a manager to his employees on the eve of the disbandment. His grateful, sympathetic tone reveals something of the camaraderie among the workforce, as shown also by the persistence of the RHP Sports and Social Club beyond the factory closure. 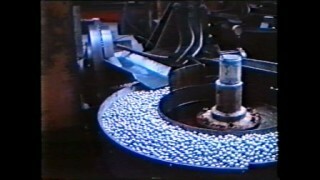 The original film ends with shots taken in the factory after the machinery had finally been shut down. We have left a few seconds of silence from this montage, in stark contrast to the noise of the factory in operation, as a poignant reminder of the loss of an industrial soundscape from the city.